Folk singer, songwriter, and guitarist Rachel Bissex grew up in Newton, MA. When she was 13, and showing a continuing interest in music, she got her first guitar. It was a used one her mother bought from a local music store for less than 40 dollars. When Bissex turned 19, she moved to California with big dreams. Being away from family was tough, and later she hitchhiked all the way to Vermont to be close to her brother and father. Once settled in, she entered Johnson State College in 1977. After five years of studying the performing arts, she earned a Bachelor of Fine Arts degree. In 1995, Bissex completed her first album, Don't Look Down, recorded under the Alcazar Records label. A sassy sophomore release, I Used to be Nice, was finished in 1998 and soon captured plenty of air time on folk radio stations worldwide. A third album, Light in Dark Places, was offered to fans two years later. "Never Go Back," "There's a River," "Last Time I Saw Richard," "Wildflowers," "Beauty in the Dark," and "What's Right" are some of the tunes showcased on Bissex's recordings. 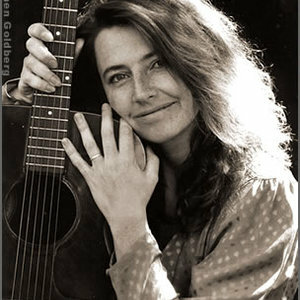 During her career, Rachel Bissex has performed at many folk festivals and concerts, as well as concert halls and coffeehouses. She has opened for artists like Joan Armatrading, Ray Charles, Shawn Colvin, and others.